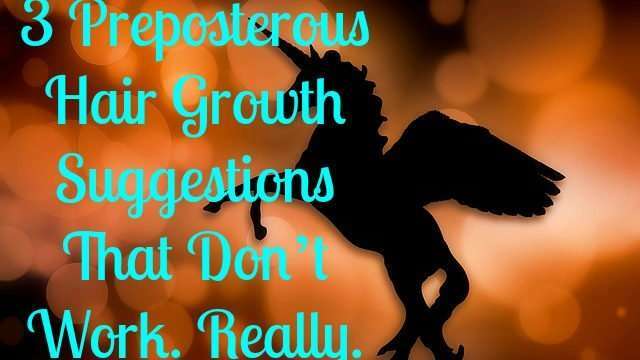 Home / Hair • Hair Growth • Hair Loss • Long Hair / 3 Preposterous Hair Growth Suggestions That Don’t Work. Really. I’ve been on my healthy hair journey for some time and I’ve learned so many things that helped me achieve my goals but once in a while, some truly preposterous hair growth suggestions come up. They’re so out there, you just have to stop and wonder why anyone would try it for the sake of a few extra inches a year. 3 hair raising suggestions in particular come to mind for this article. I’m sure we’ve all heard this. Application of a product created for your lady parts to your scalp is supposed to bolster growth. The internet is filled with testimonials and pictures of growth achieved via the use of vaginal suppositories on the scalp. The most famous product used for this is Monistat. Let’s look at the science behind this. The active ingredient in Monistat is miconazole nitrate, an antifungal agent. It is also similar to ketoconazole, an agent that’s supposed to block dihydrotestosterone, the hormone responsible for male and female pattern baldness. While it makes sense that Monistat would help hair grow given the similarity to ketoconazole, it should be noted that no clinical studies have been conducted to prove this theory. 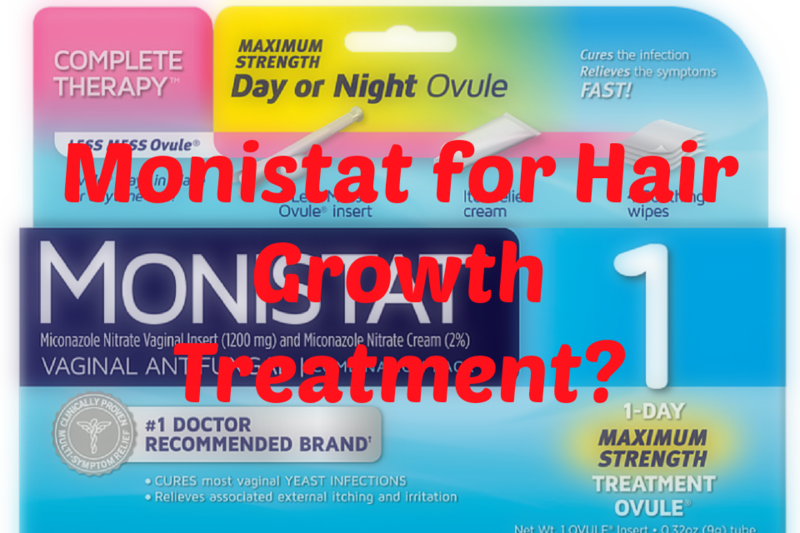 Additionally, people who used Monistat for hair growth reported side effects such as headaches, ringing in the ears, burning in the areas the cream was applied and shedding once the application was stopped. That seems like a whole lot of palaver for something you’re not even sure will work. You can as well achieve the same results with Jamaican black castor oil (JBCO), emu oil, tea tree oil, carrot oil, pumpkin seed oil and neem oil. I found this a bit alarming. The only possible source of breastmilk is if you’re breastfeeding. 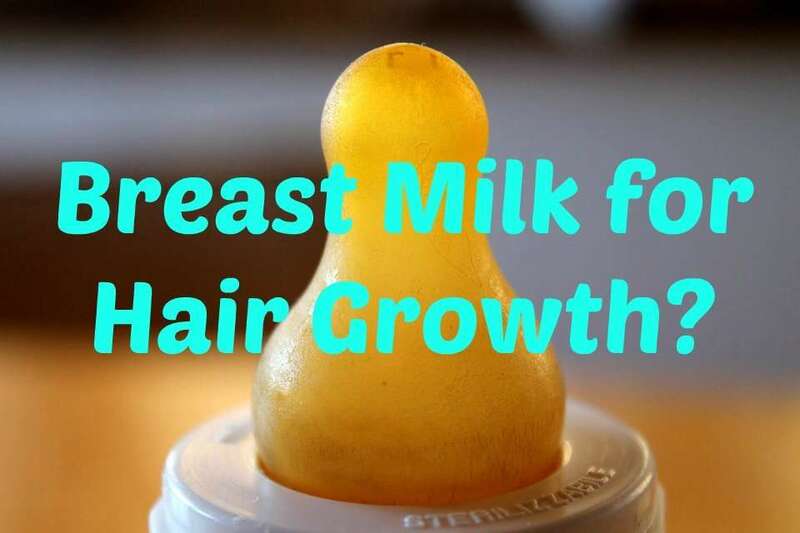 Assuming this works for hair growth, how would you obtain breastmilk otherwise? Walk up to random breastfeeding women and ask them if they can spare a few ounces? And if you’re breastfeeding, do you know how much work would be involved in pumping out enough milk for your hair, and baby? Ok, moving on. What’s the science behind this? There’s no science. Breastmilk contains protein and fat that’s very good for the baby. If protein and fat are what you’re after, you can get it through coconut oil, coconut milk, hemp seed oil and wheat germ oil without squeezing any breasts. This one really felt like taking this whole hair business a bit too seriously. When I heard about this, all I wanted to know was exactly how people get sperm from a whale? Is a whale going to stay still long enough for you to extract its sperm? It probably won’t, which means you’d have to kill it first (highly illegal). 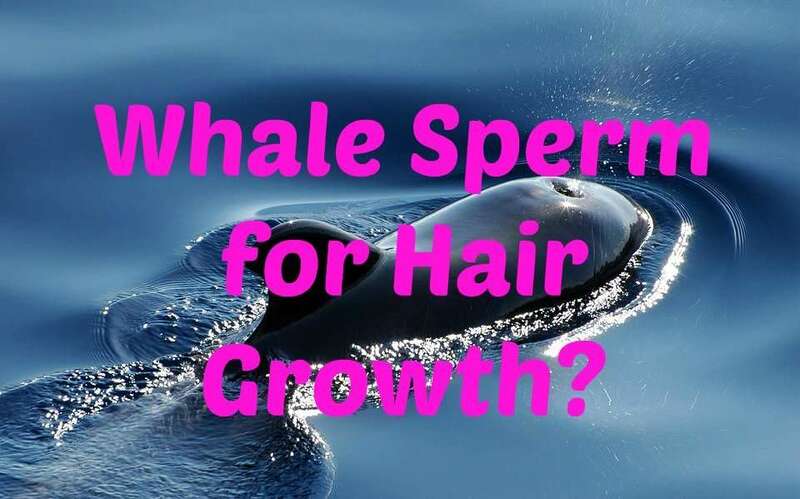 The discussion really should end here but let’s look at the reasoning behind using whale sperm for hair growth. Whale sperm isn’t precisely the sperm from a whale. Rather, it’s the spermaceti (oil) from the whale’s head. It is obtained after the whale is killed. Spermaceti is composed of mostly wax and is insoluble in water. Jojoba oil mimics the intended effects of whale sperm quite well and doesn’t require killing an endangered animal to get it so opt for that. There are some other out there hair growth treatments I’ve heard about but the 3 above stand out the most because the effects they’re supposed to produce can be achieved with various natural oils and some patience and TLC on your hair. So, which hair growth techniques do work you’re wondering? Check out this invaluable resource from yours truly. 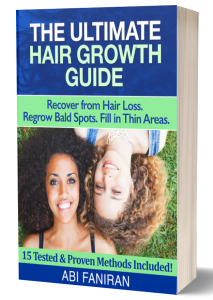 The Ultimate Hair Growth Guide breaks down over 15 tries & tested methods for stopping hair loss, regrowing bald spots & filling in thin areas of your scalp.